You know what’s awesome? Home made ice cream. You know what’s even better? 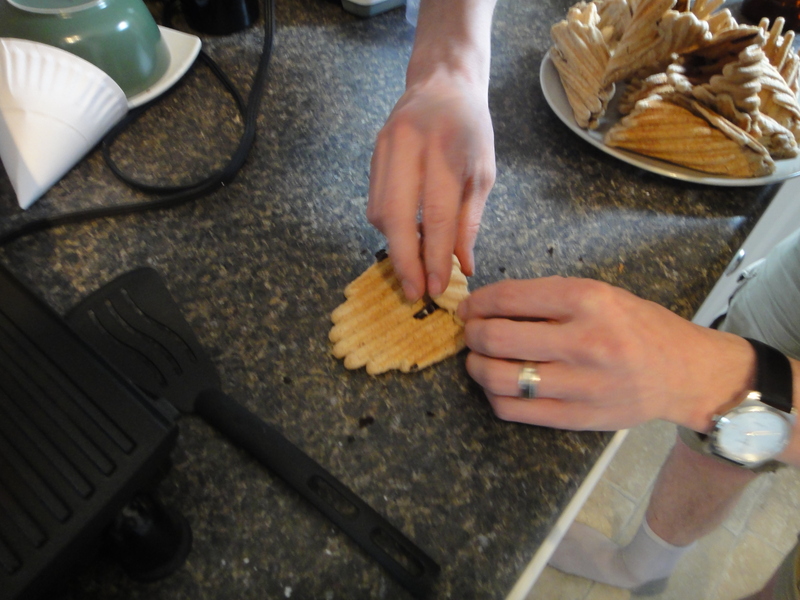 Home made ice cream served in home made waffle cones. That’s right. 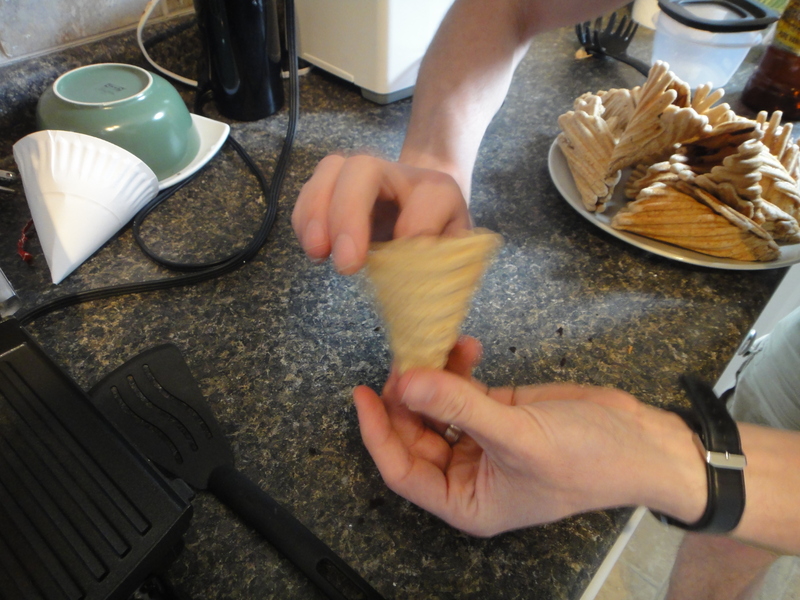 You can make waffle cones at home. 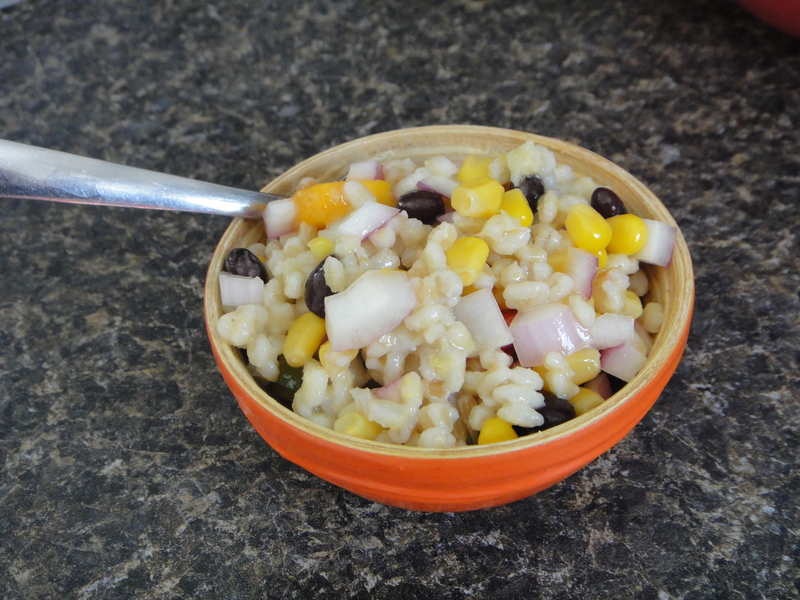 They are super easy to make and are just as delicious as the ice cream parlour shop variety! 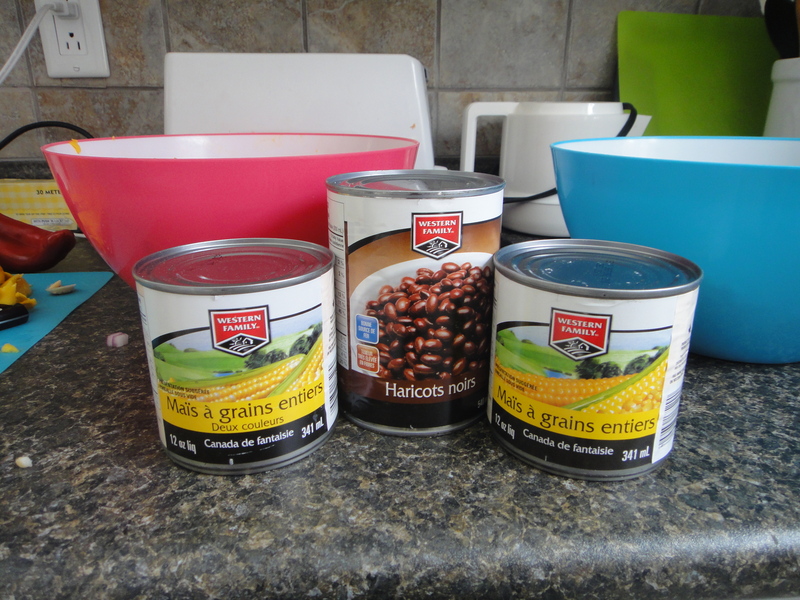 First things first, mix the milk and icing sugar together in a bowl. I mixed in the flour with the milk and sugar. 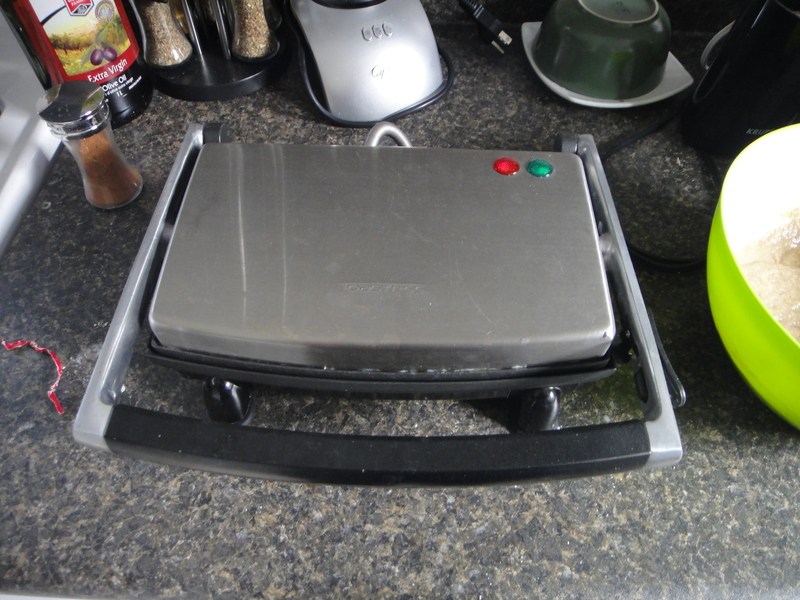 And then heat up the panini press. 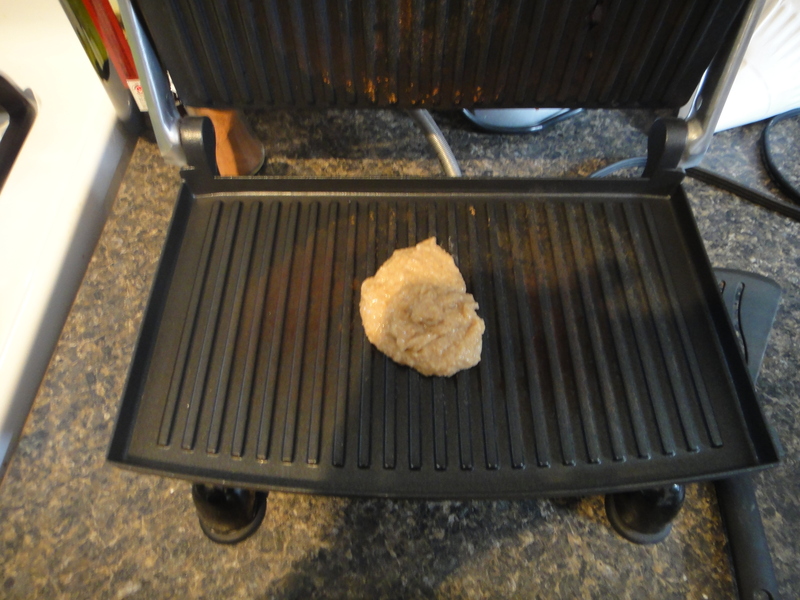 Once the panini press is all warmed up, place a small dollop of the batter onto the grill. After about 90 seconds, your cone should be ready to roll. Now here’s the tricky part. You need to roll the cone while it’s still hot and before it sets, so work fast! It’s going to be really hot, so be tough. There is a very small window of opportunity to do this step! Here’s Justin, expertly rolling the cone. 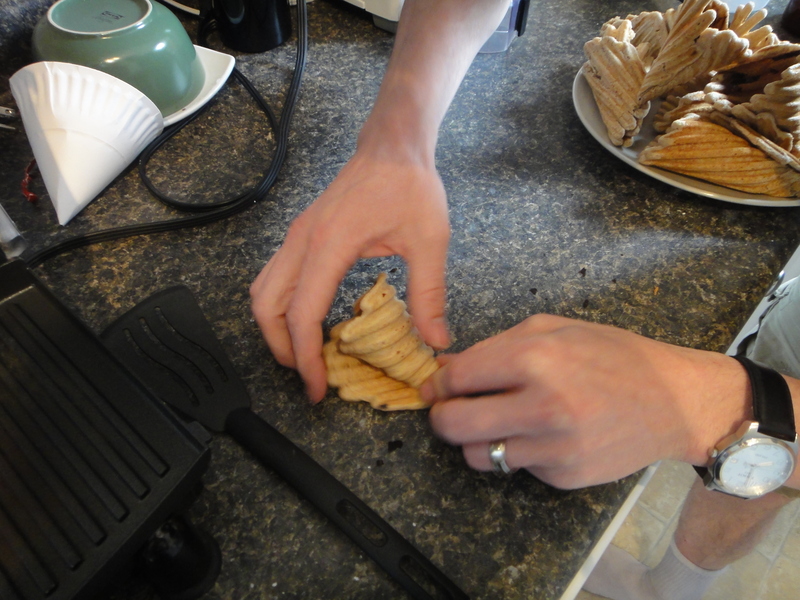 Pinch the ends to make sure it stays in a cone shape. 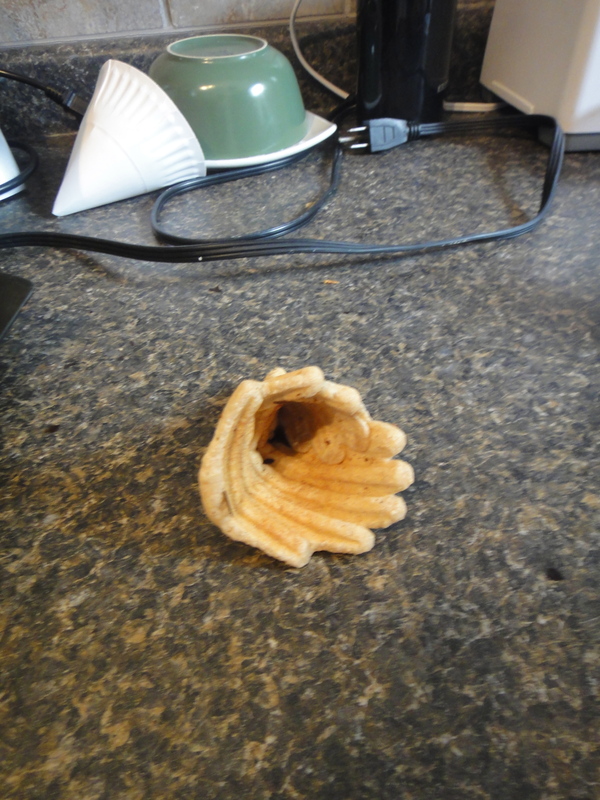 And try and close the hole at the bottom, so ice cream doesn’t drip out. There it is! 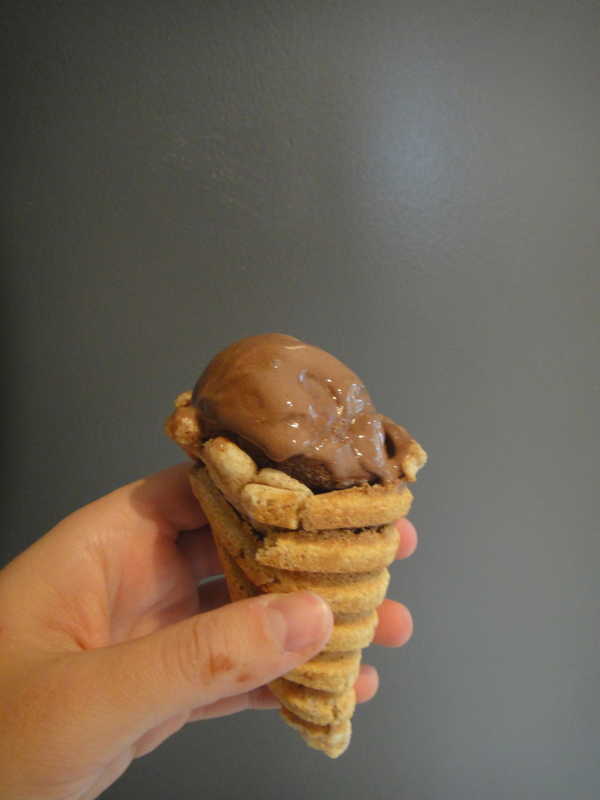 The beautiful homemade waffle cone! It’s all ready to hold a scoop of your favourite homemade ice cream – what’ll it be? Pistachio? White Chocolate Raspberry? Or Mint Chocolate Chip? I guess you’ll have to decide! I opted for a scoop of classic chocolate. What a perfect start to the summer! In a medium bowl with a whisk or electric mixer, whip the cream and vanilla together until it is mousse-like. 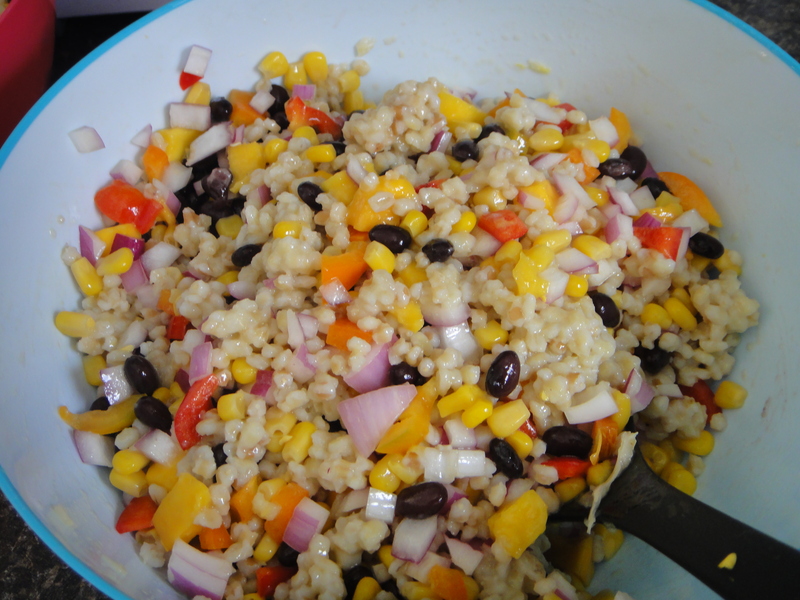 Sift the remaining dry ingredients together in another bowl. 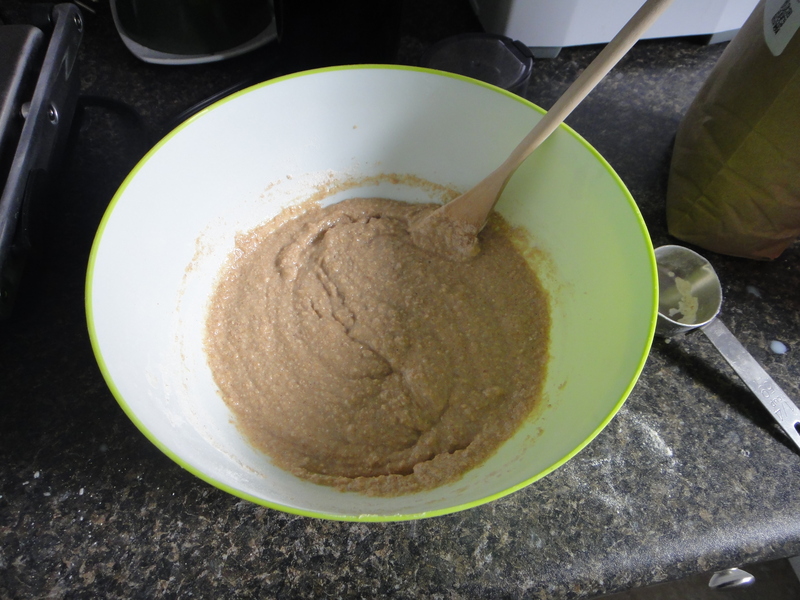 Add the dry ingredients to the cream and stir to make a batter. Let the batter sit for 30 minutes. 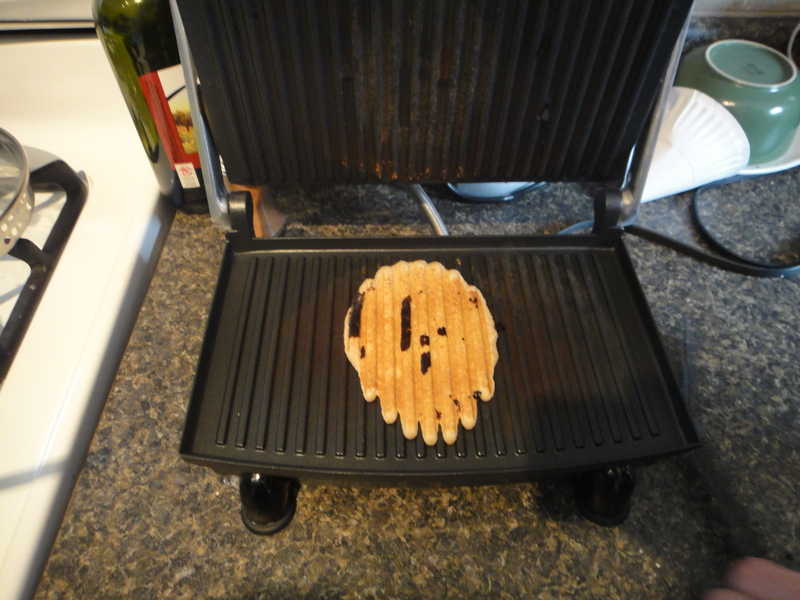 Preheat the panini grill to medium high heat (about 375°F). Place a heaping tablespoonful of batter onto the grill and close the lid, completely pressing the batter. 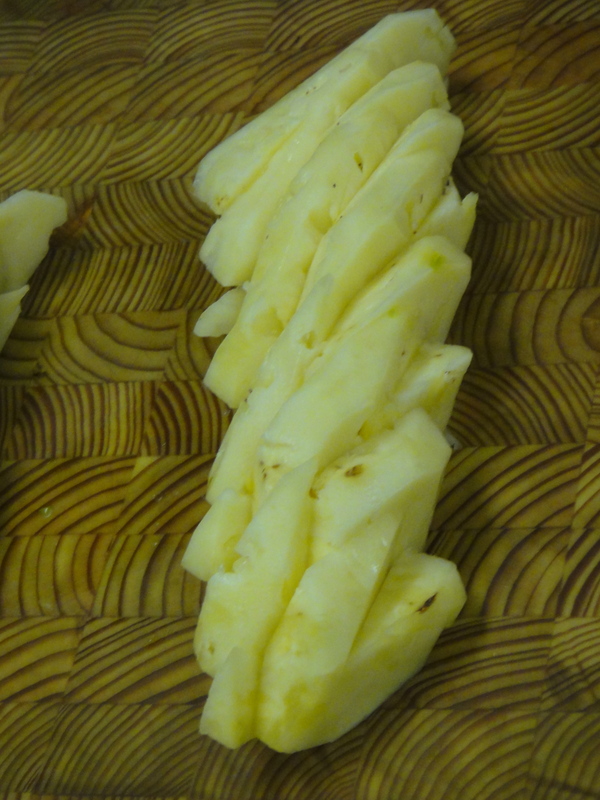 Grill for about 90 seconds or until the pressed cone is browned but still malleable; it will be an oblong shape. 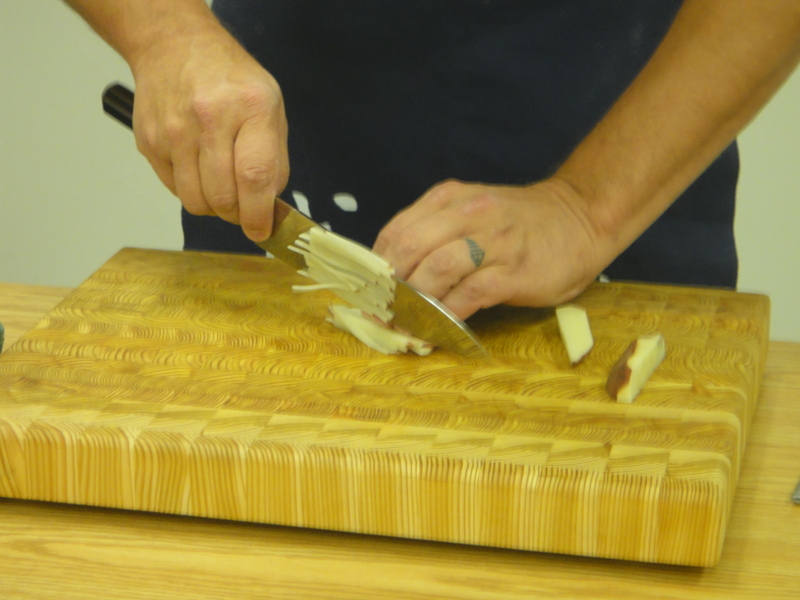 Carefully transfer the pressed cone to a cutting board or piece of waxed paper. Working quickly and carefully (the cone will be very hot! 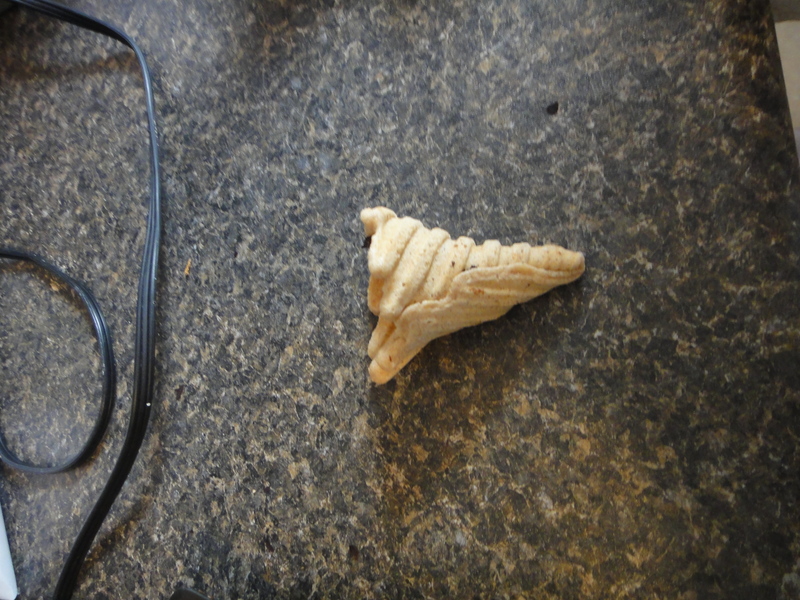 ), roll the pressed cone into a cone shape. 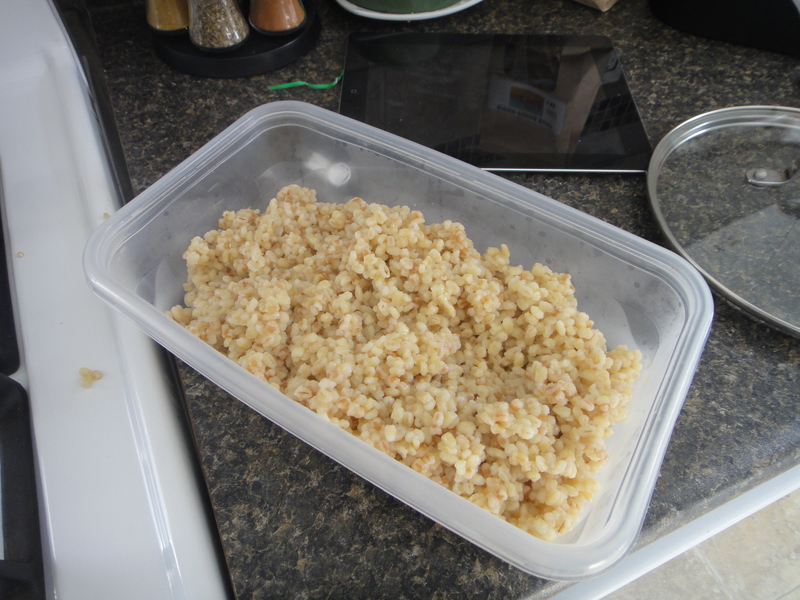 Set on a plate to dry and harden. 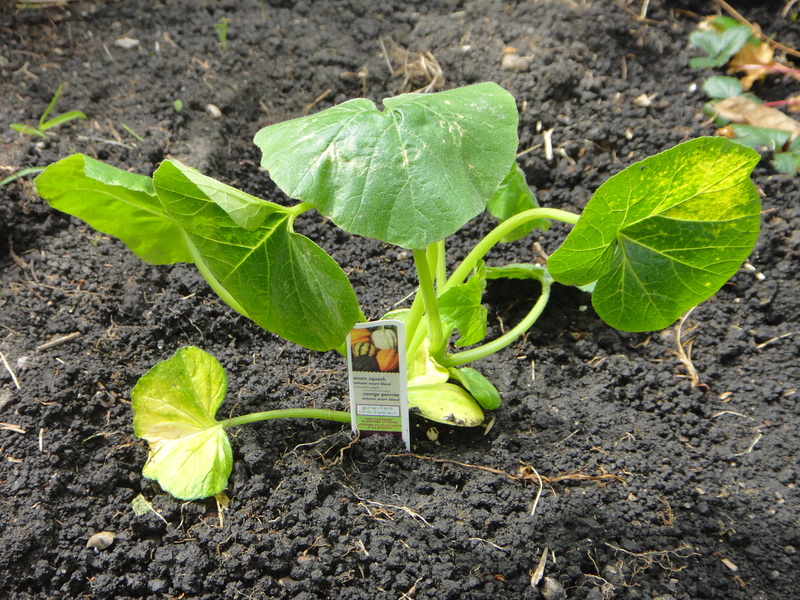 Adventures of a Third Time Gardener! Hello loyal readers! It’s that time of year again – That’s right! It’s gardening time! 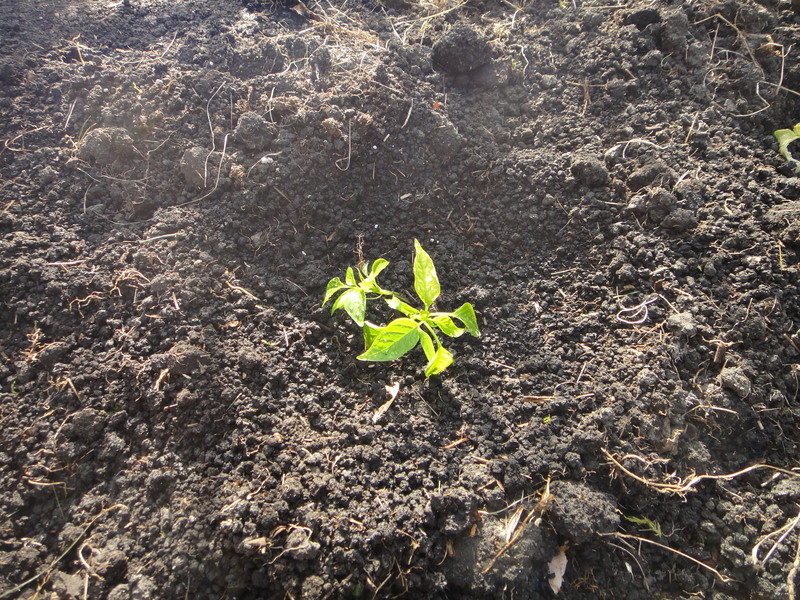 This will be the first time we garden in the new house – how exciting! We were debating about whether or not to put in a garden this summer, because we were worried about how much time we would have with everything else going on with the new house, but when the weather turned around, we decided there would be no way we couldn’t! 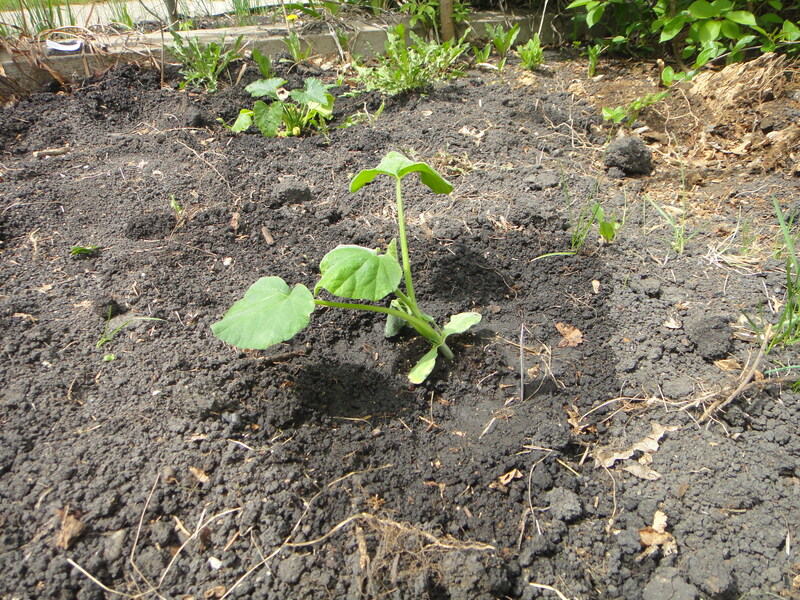 So we dug up a nice (but small) area in the backyard where we would be able to plant a few veggies. 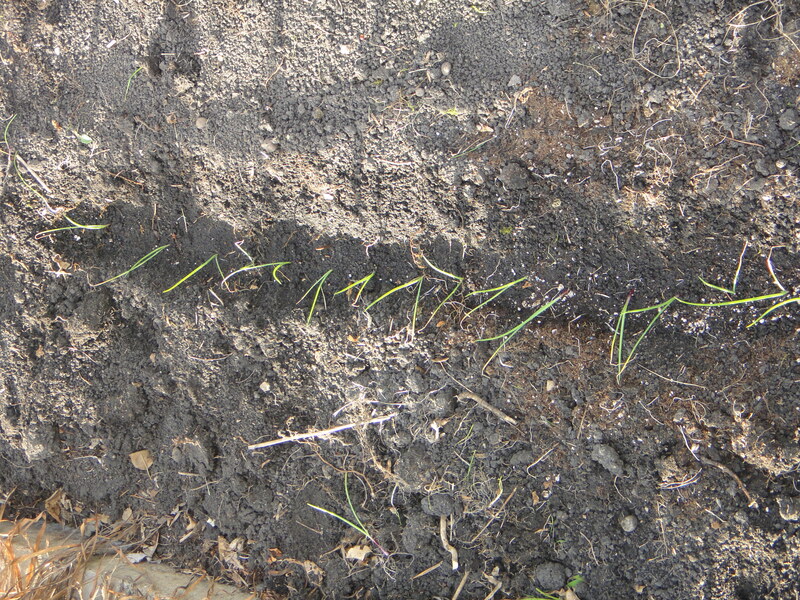 Here is the garden patch, dug by hand! And here is our stash of veggies! 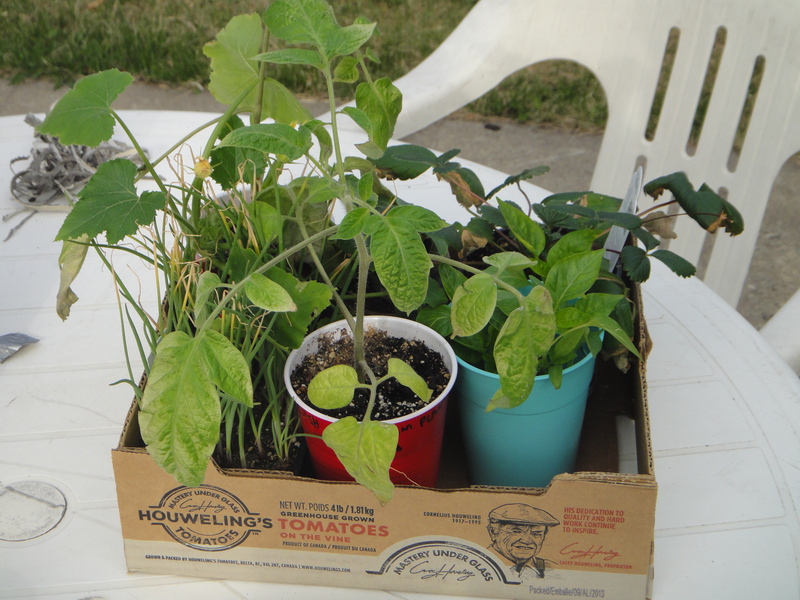 My wonderful boss, John at Gold Forest Grains, gave me two wonderful heritage tomato plants, and my mother in law seeded a whole bunch of plants for us as gifts. We are spoiled! 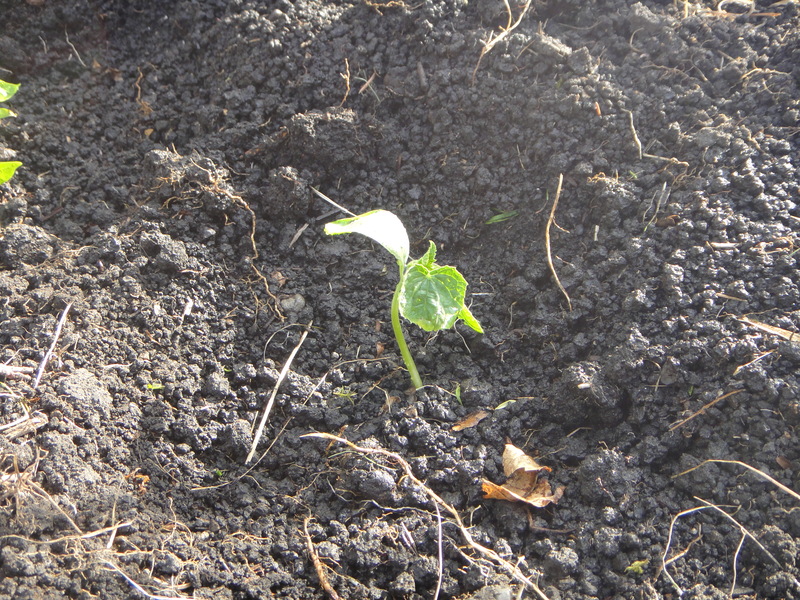 This year, we will be growing acorn squash again, seeing as how successful it was last year! 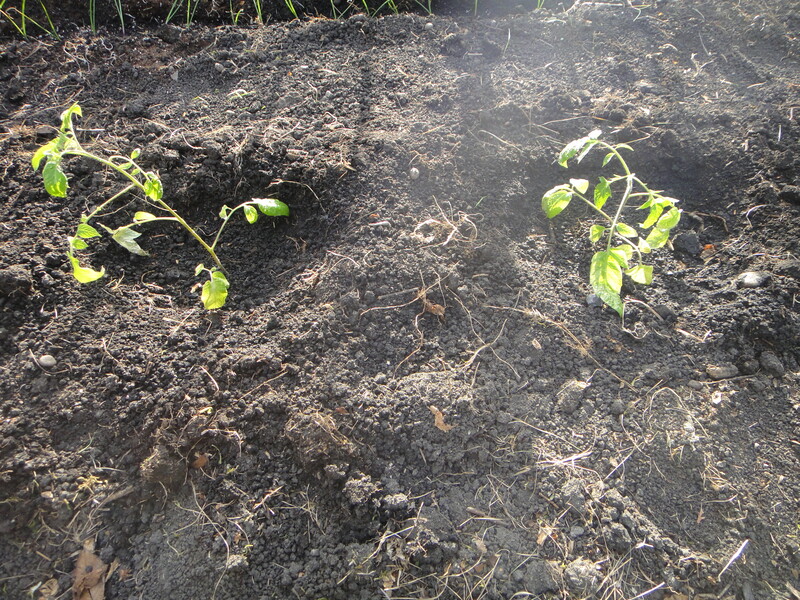 Here are the two heritage tomato plants. These are going to be beauties! Here is a baby pepper plant my mother-in-law gave us. 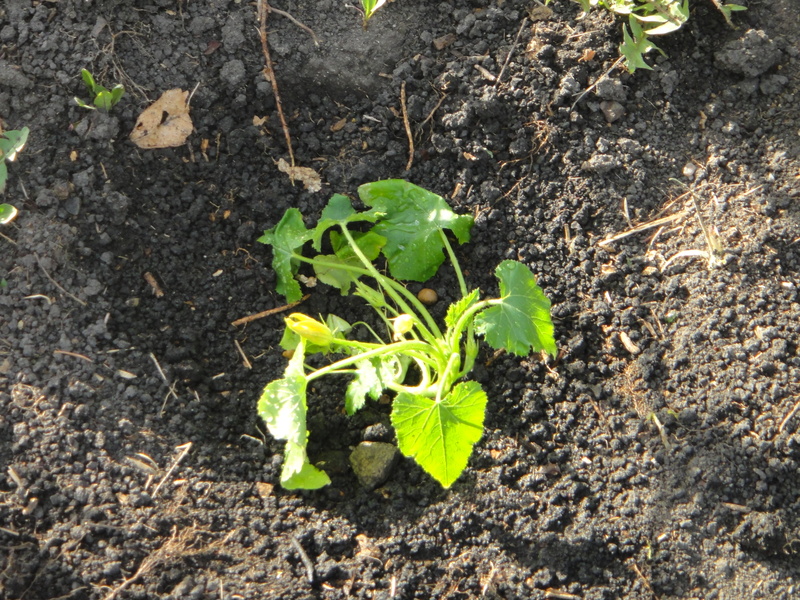 And of course, we had to start a new strawberry patch. 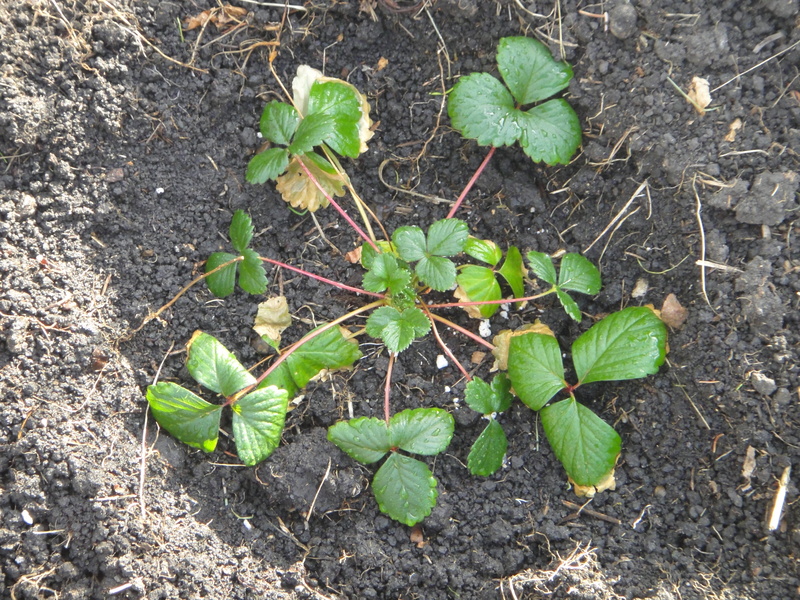 It was so hard to leave the old one behind… It gave us such lovely strawberries! Stay tuned for updated throughout the summer! This post comes super late after the event (2 weeks ago… sorry al! ), but that wont stop me from writing about it! 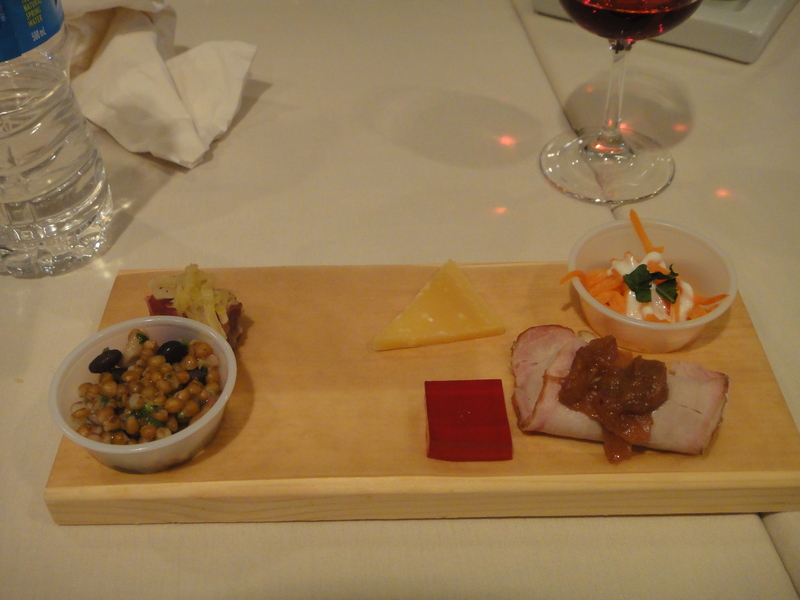 Eat Alberta was a wonderful day of culinary adventures! 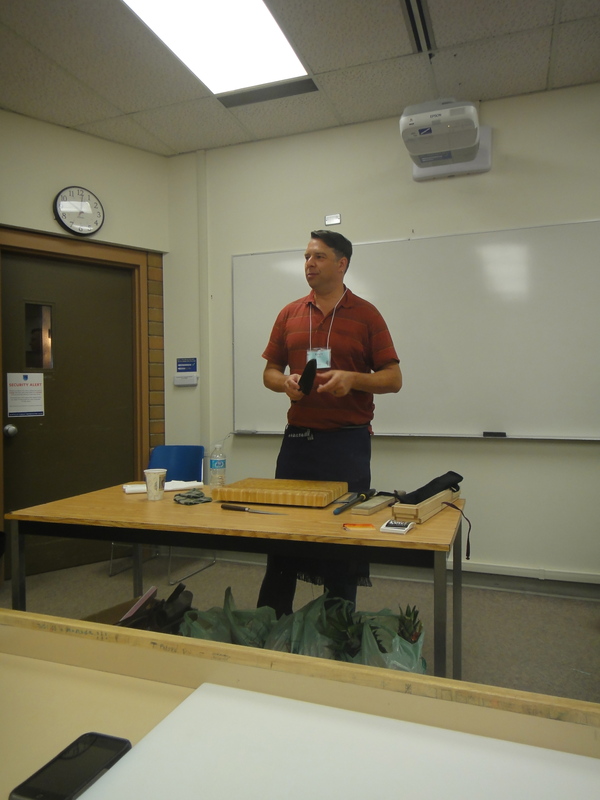 I attended the first Eat Alberta two years, but couldn’t attend last year because of the election. There was no way I was going to miss out this year, so I decided to volunteer to offset the cost of attending. It was super fun! All of the food for the event prepared by NAIT’s culinary program. Wow. Breakfast was incredible! We were definitely well looked after that day. As a volunteer, I got to attend one of the hands-on classes for free! 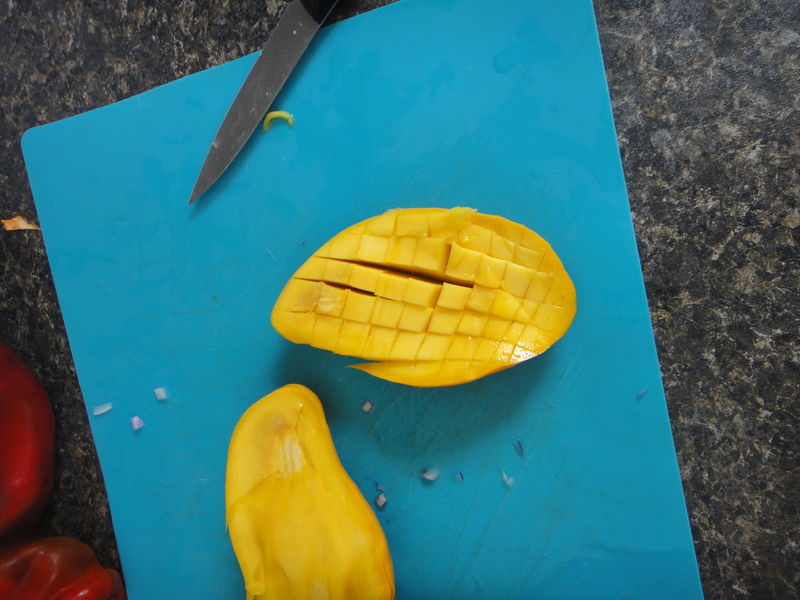 I was so lucky, I got my first choice – knife skills! 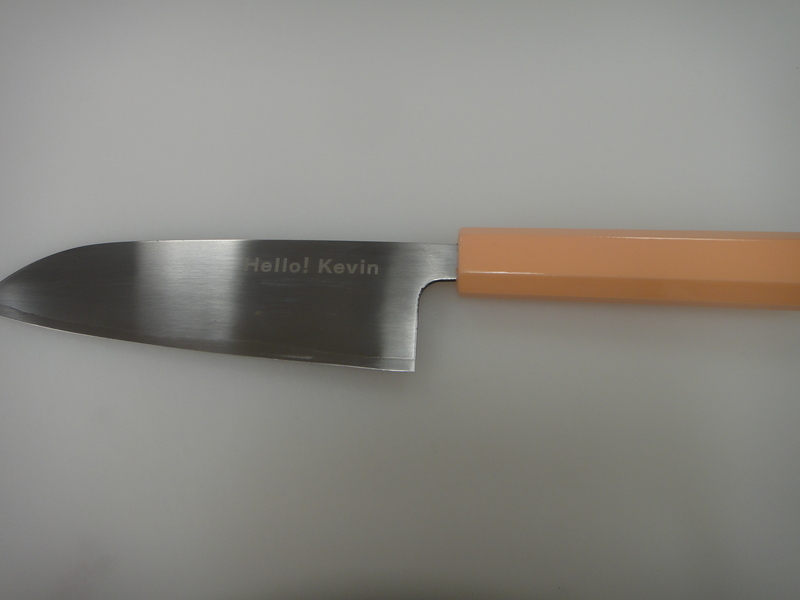 Kevin Kent from Knifewears led the session, and let me borrow one of his knives – this one says “Hello Kevin” on the side. How awesome, eh? 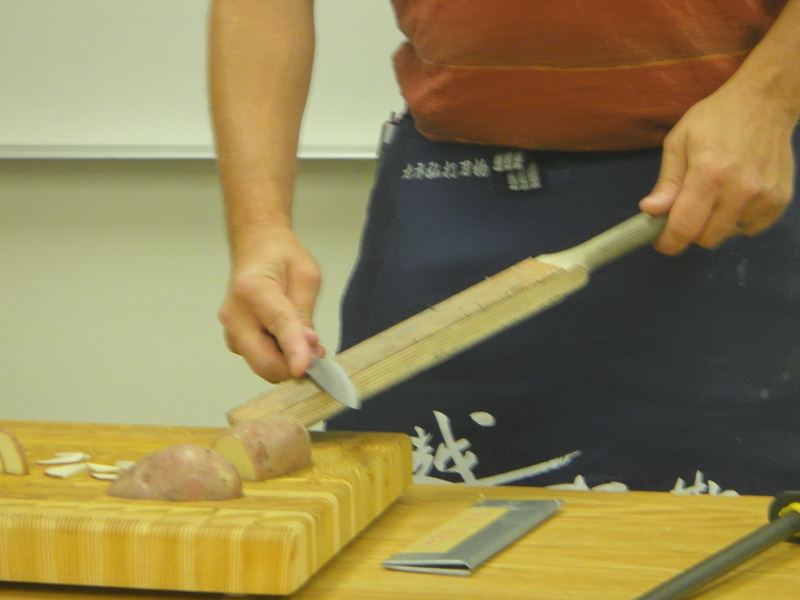 He had a huge knowledge base on knives – I was super impressed! 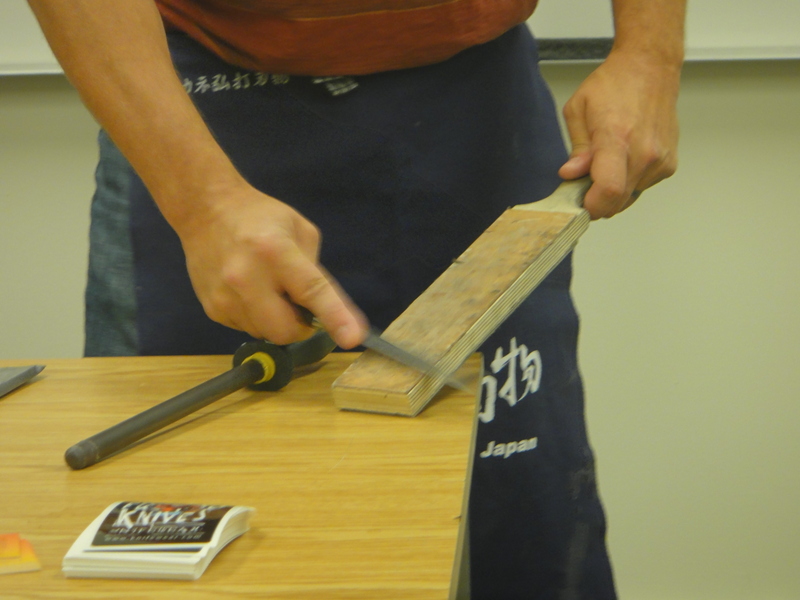 He first showed us how to hone a knife (that means to straighten the blade so that it cuts more true). 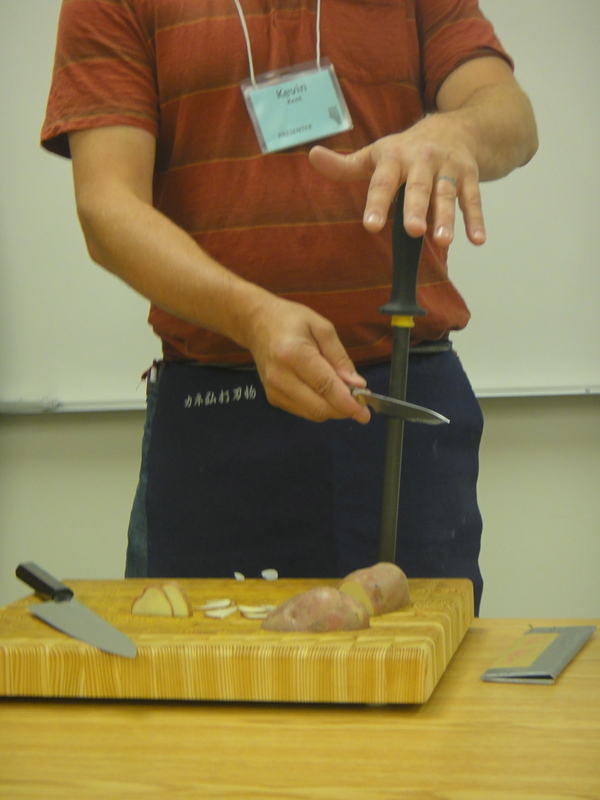 To do this – you use a steel rod and carve it like a Donair. 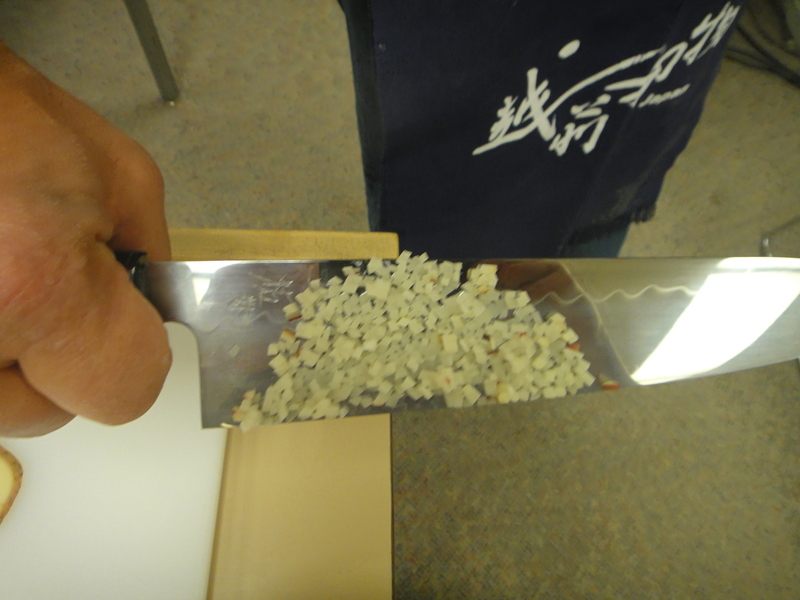 Next, to actually sharpen the knife, you need an abrasive surface (if I’m remembering correctly, he used leather). 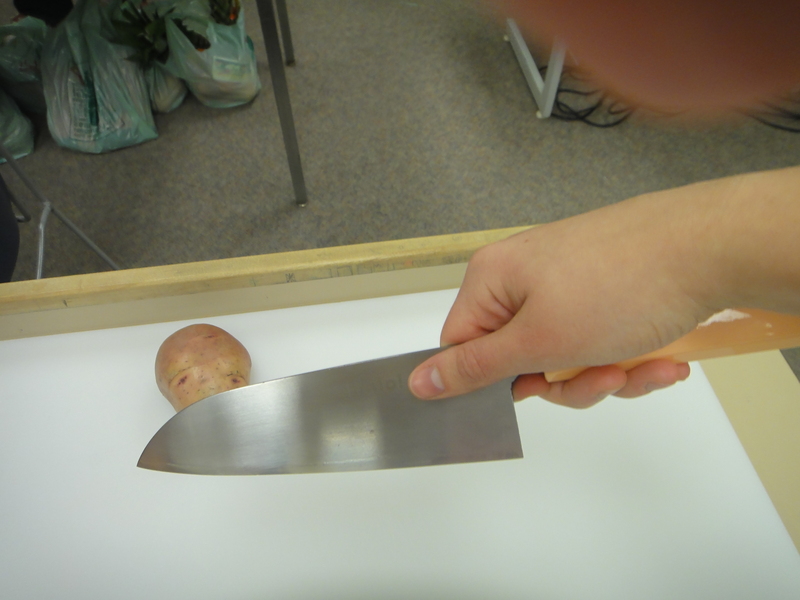 The concept is to remove a small layer of the knife’s surface to make the edge smoother and sharper. To do this, you spread the knife on the pallet like butter! 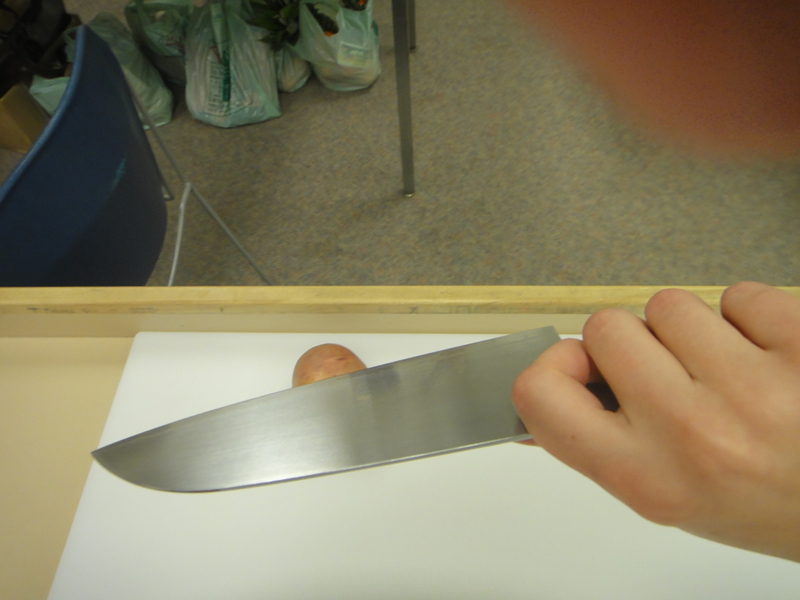 And hold your thumb on the other to steady the knife. 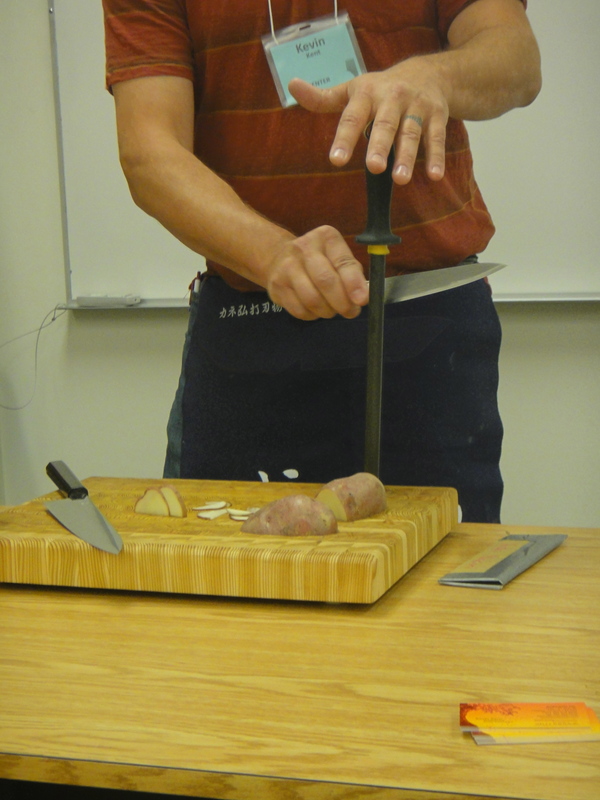 Kevin then showed us how to properly hold a potato while cutting it. 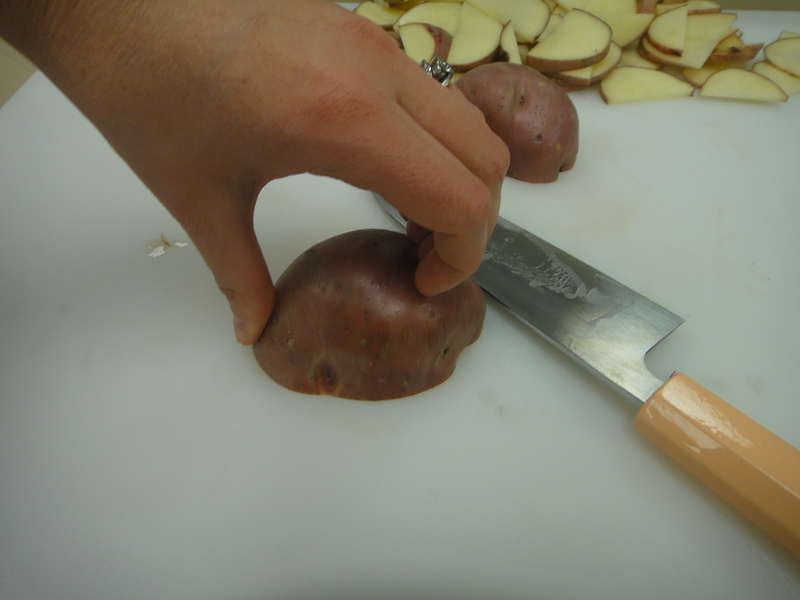 Hold the end of the potato with your thumb, to steady it, then curl your fingers in so that the knife runs along the knuckles as you cut. This grasp helps you cut really fast! 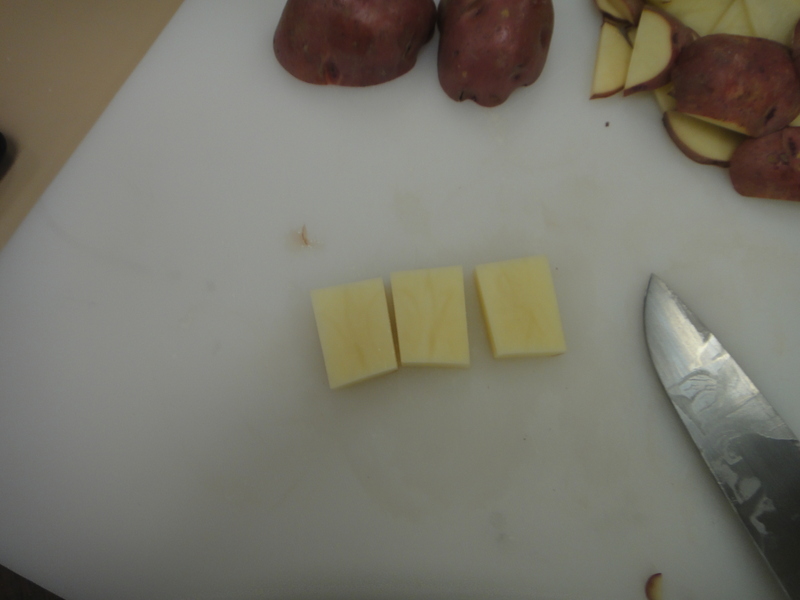 The next adventure was to learn how to perfectly cube a potato. First things first. 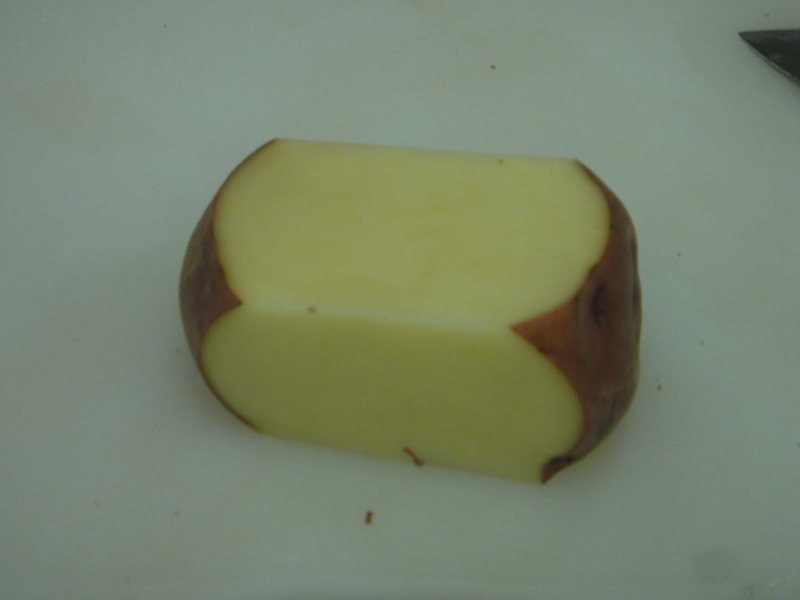 Cut the potato into a rectangle. 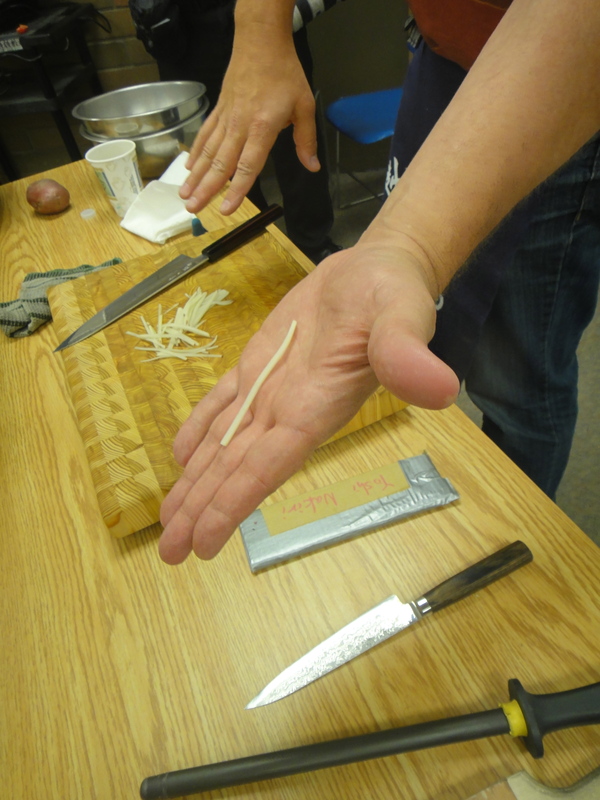 He showed us how to julienne too. 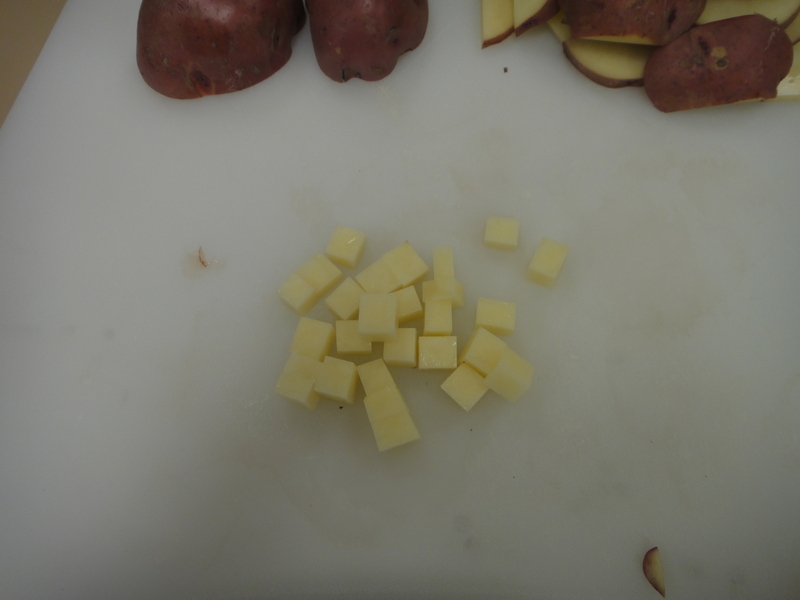 The little pieces looked like spaghetti! 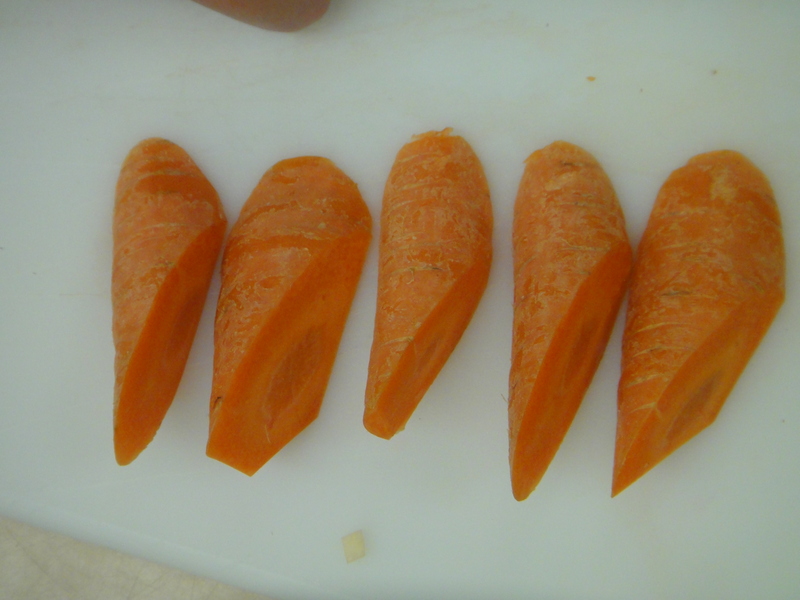 Kevin showed us how to cut carrots beautifully! 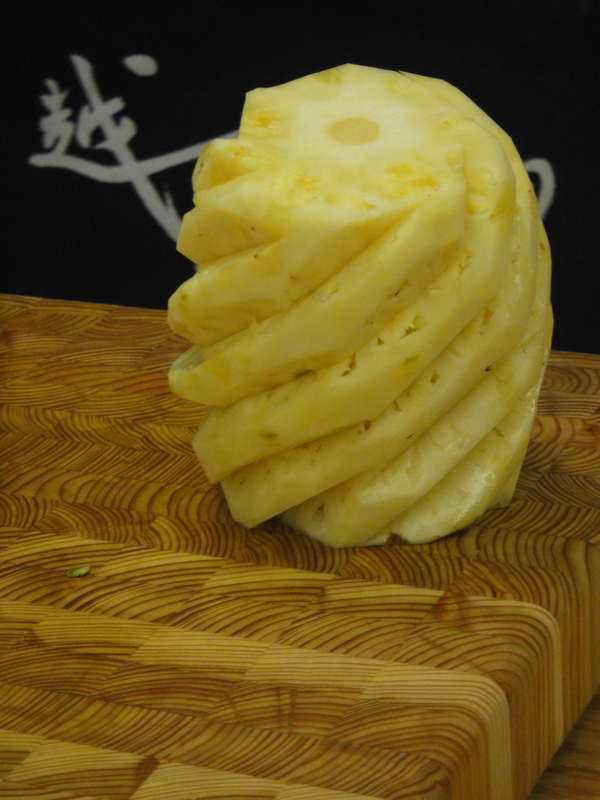 This is how you cut pineapples, to remove the eyes, without having to waste so much fruit. 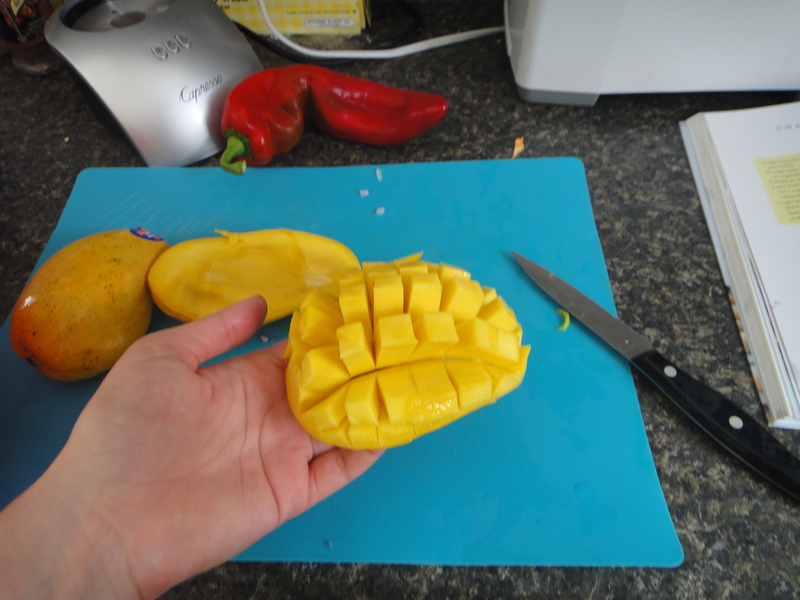 And as a bonus, when you chop it up, it’s beautiful! 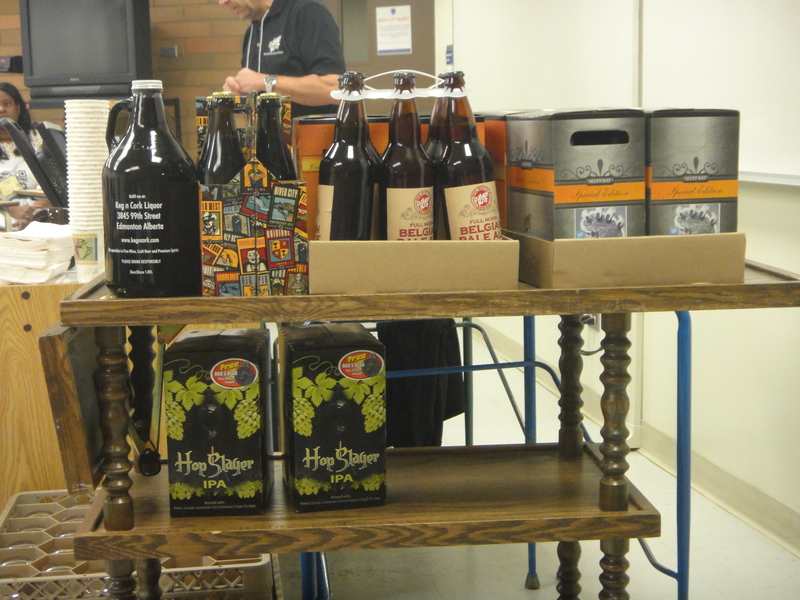 The next session I volunteered at was a beer tasting with Niel Herbst, owner of Alley Kat brewery. 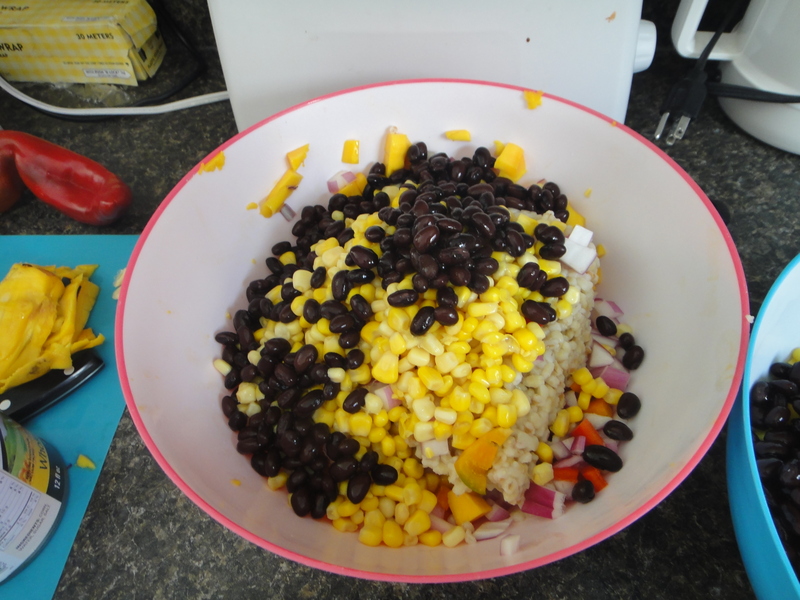 It was super informative and tasty! My favourite taste of the day was Alley Kat’s new summer squeeze grapefruit ale. Wowza, it tasted like summer in a bottle. I can’t wait to sit on a patio this summer sipping that bad boy! 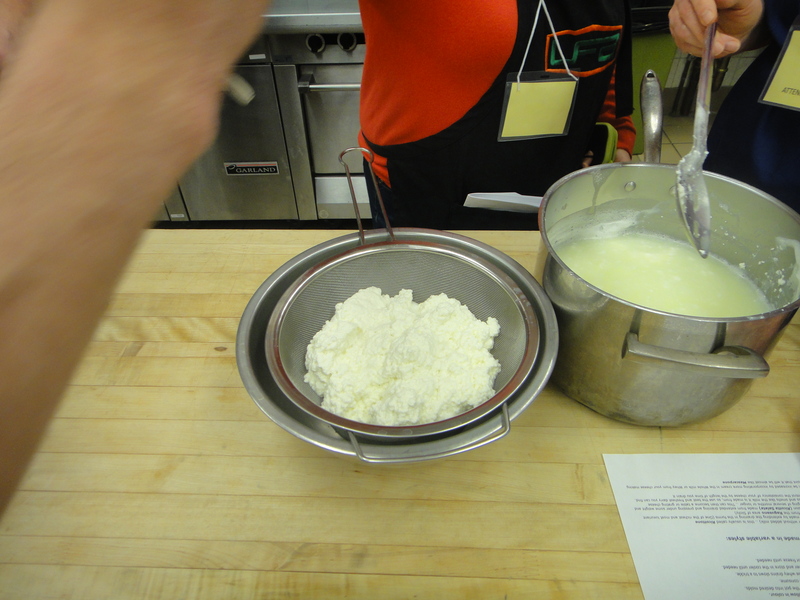 The next session I helped out with was Ricotta Cheese making. I wasn’t there long, but it was pretty cool to see how ricotta is made! 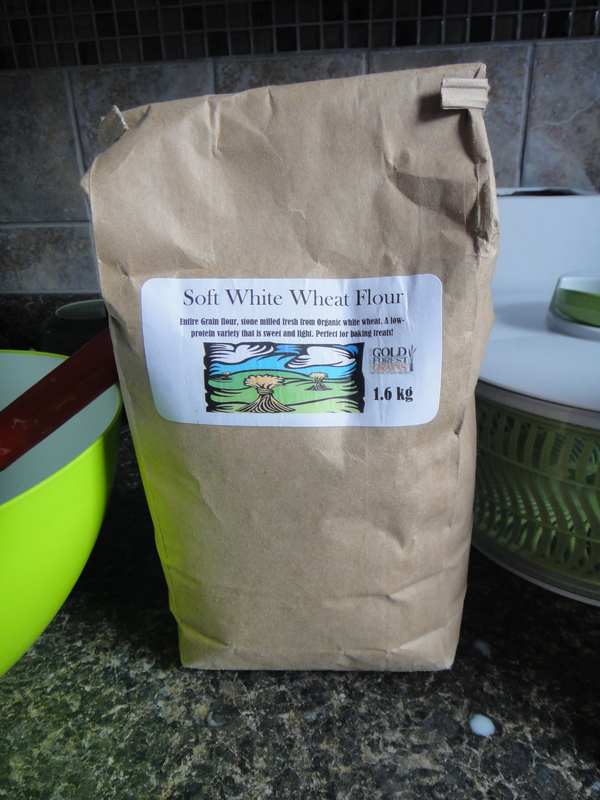 The next session I volunteered at was with Owen Petersen from Prairie Mill Bakery. 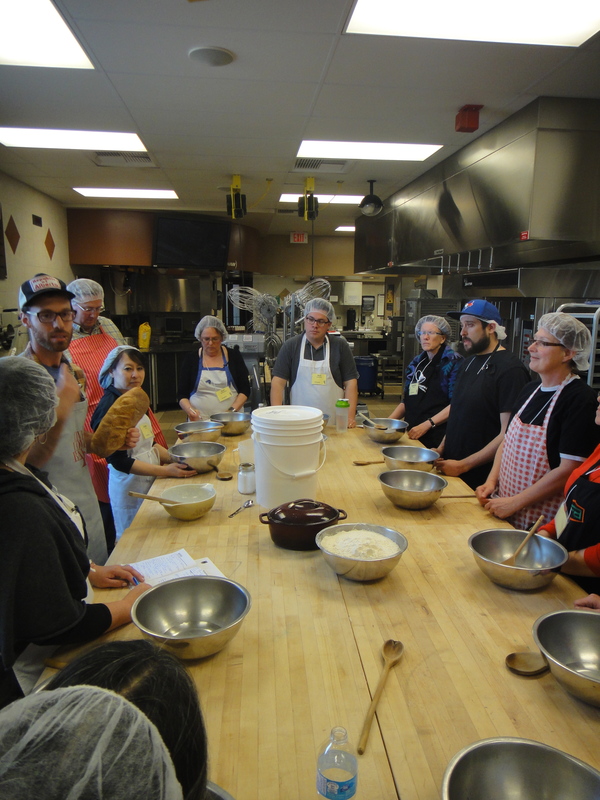 He taught a class how to make bread using a sourdough starter. He named his starter Julie. How awesome! 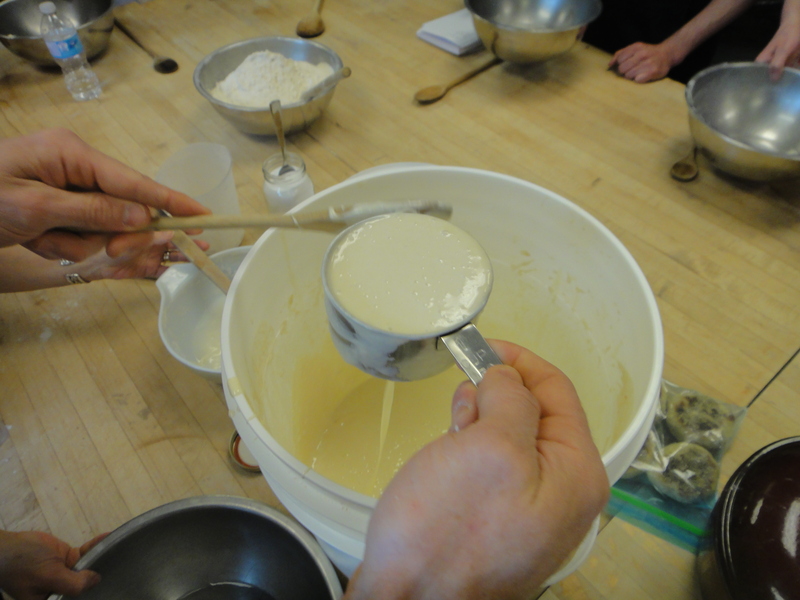 I got some pretty good shots of volunteers mixing their dough. 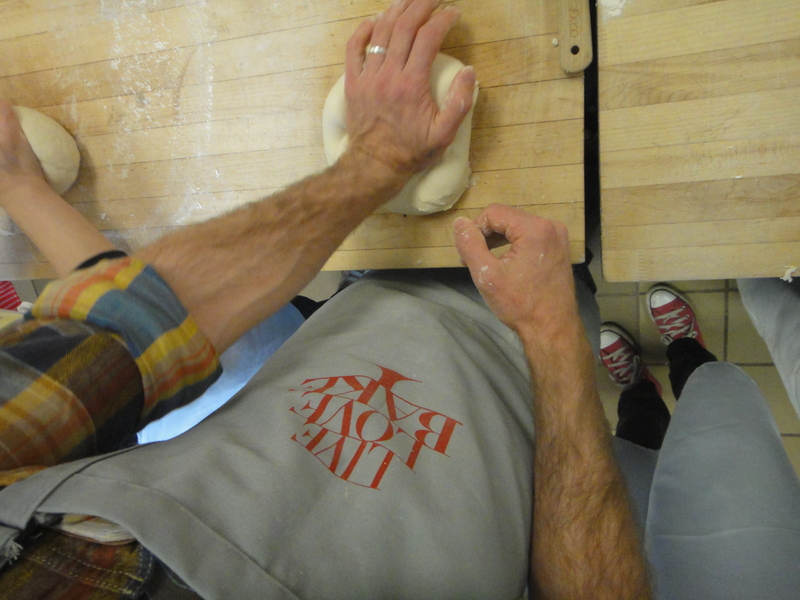 And some great shots of Owen expertly kneading his dough. Look at those skilled hands! 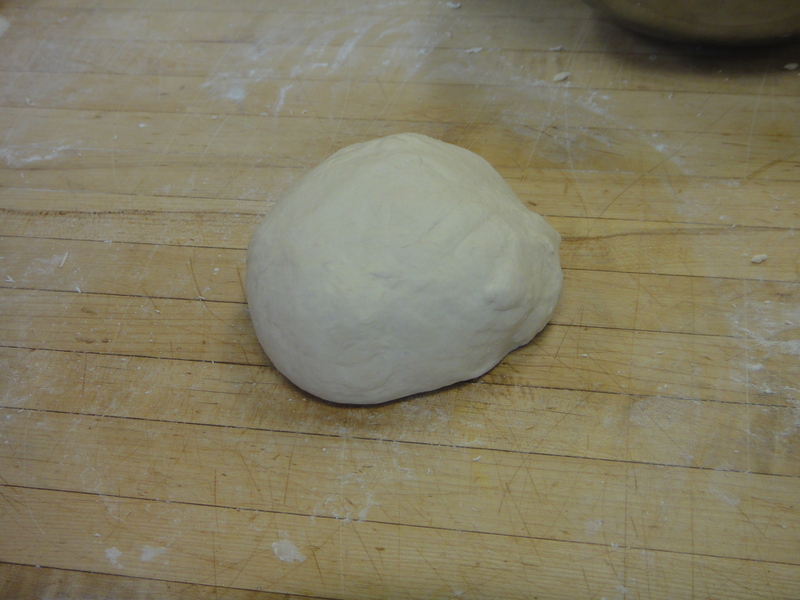 In the end, there was a beautiful ball of dough. 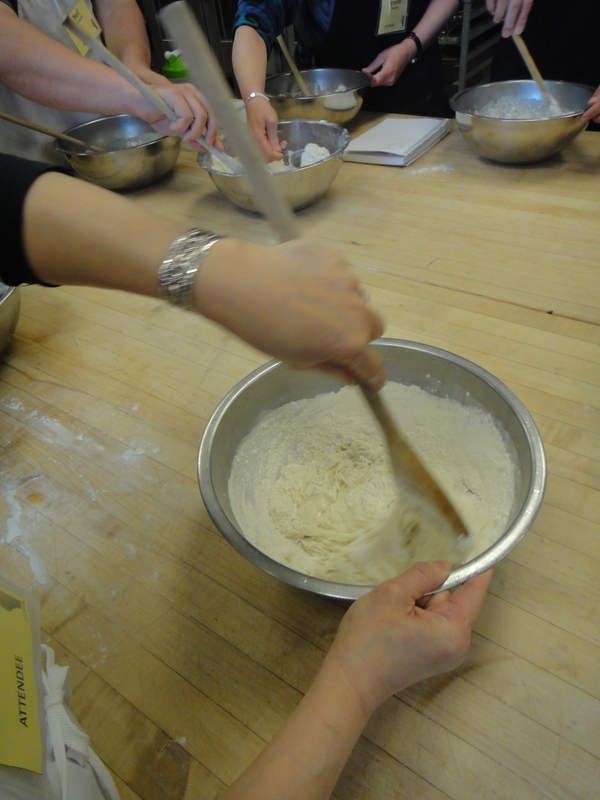 I was super impressed with that session, and made me consider wanting to bake with a starter! A big shout out to the organizers for putting on such a great event! I was floored at how much work must have gone into preparing for it! I had a great time, and loved the sessions! I will definitely be volunteering again next year! My sincerest apologies for prolonged my absence from the blogosphere. I am FINALLY back from my blogging hiatus (and couldn’t be happier!). As you can tell, there have been a few changes: First things first, I changed the named of the blog! 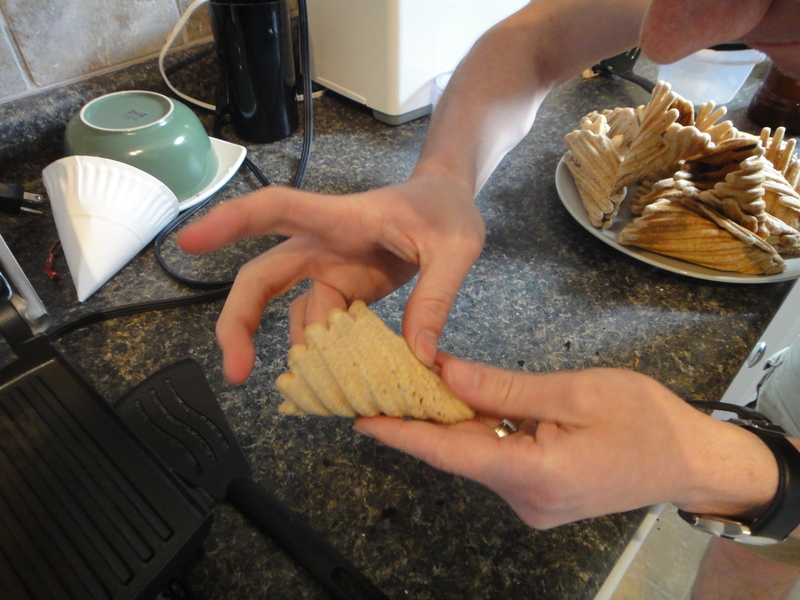 Justin and I have recently moved into the quaint little community of Parkallen in the heart of Edmonton, and seeing as we were no longer living in the Garneau house anymore, I couldn’t very well be blogging about the Garneau Kitchen, now could I? While some things have changed, some stay the same. 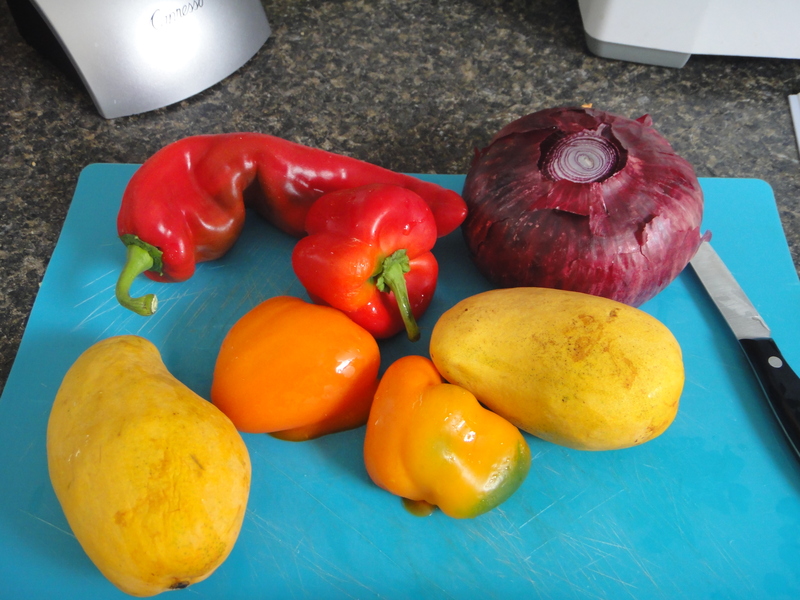 The blog’s theme will always be, as it always has been, local food in Edmonton. I will strive to live as locally as possible, on a modest budget, and I hope you continue to enjoy the journey as I go! Stay tuned for foodie posts!